Remakes can be ghastly and disappointing: Clash of the Titans, Psycho, The Invasion (of the Body Snatchers) and Godzilla to name but a few. Story: A bunch of passengers on a flight wake up to find that all other passengers, including the pilot, are gone. An off-duty captain flies them into an airport but it’s desolate and the sound of The Langoliers is getting louder by the minute. Reason for remake: We have gems like The Shawshank Redemption, The Shining, Misery and The Green Mile. 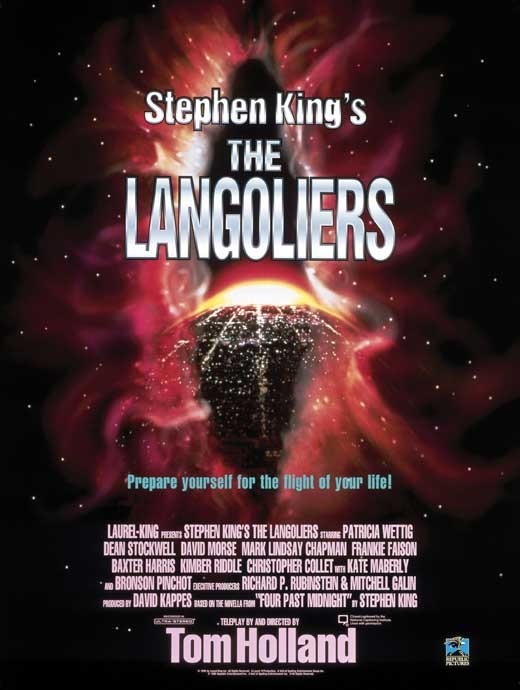 Stephen King deserves better with The Langoliers, too. Challenge: There is no challenge. The only thing that saved this film was David Morse’s performance as the captain. Recommendation: Give the script a complete overhaul. Get Christopher Nolan to oversee this. Story: Dennis Quaid’s character, Alex, has been using a psychic ability for personal gain. He is recruited by the government to save the US President, whose mind is trapped inside the dreamworld. Alex discovers that another psychic is killing people inside their dreams, causing them to die in real life. Reason for remake: The concept is brilliant and the movie is decent but it could do with fresh blood. Challenge: Making it fresh without changing too much of the story. Story: A 12-year-old boy called David falls down an embankment, is knocked unconscious and is abducted by an alien spacecraft. When he wakes up, what feels like a few moments later is in fact 8 years later and everything has changed, except David. Reason for remake: They just don’t make stuff like this anymore. Classics for kids that ooze with imagination….rare to find these days. Challenge: Making the spaceship even more awesome. Big challenge! Recommendation: Do not use a Pee-Wee Herman voice for when Max (the alien) speaks colloquially. Story: A young Ethan Hawke plays Ben Crandall, who is obsessed with aliens. Ben and his friends Wolfgang (River Phoenix) and Darren make a spaceship and go on an amazing adventure to another galaxy. Reason for remake: Same as for Flight of the Navigator. Recommendation: Make the kids two boys and one girl instead of three boys, but all just as friends – no pre-teen romance, please. Story: Pierce Brosnan’s character turns a simple-minded gardener into a genius as part of a science/virtual reality experiment. The gardener becomes super smart and starts having his own ideas about how the research should continue. Reason for remake: On paper, there is nothing wrong with this film. Everything is pretty solid, but now that it’s 20 years old it could do with a facelift. Challenge: Casting the right actor for the lead role. Recommendation: Get Leonardo DiCaprio as the lead. He played mentally-impaired in ‘What’s Eating Gilbert Grape’ exquisitely, and he can do serious just as well (The Departed). Quentin Tarantino to direct. Story: A diplomat is nearly assassinated and ends up with a blod clot in his brain. In order to save him, a submarine with a crew is shrunk to microscopic size and injected into his blood stream. Reason for remake: This film has incredible special effects for 1966, but imagine what they could do now! It is a dream for lovers of biology. Challenge: Finding the right person for Raquel Welch’s character. Recommendation: Make the crew male-to-female ratio more even. What movies would you love to see remade? Hi, you are totally right with Langoliers. I am a huge fan of “Langoliers” and saw this movie certainly up to 100 times now. I know, not all actors are performing the best. 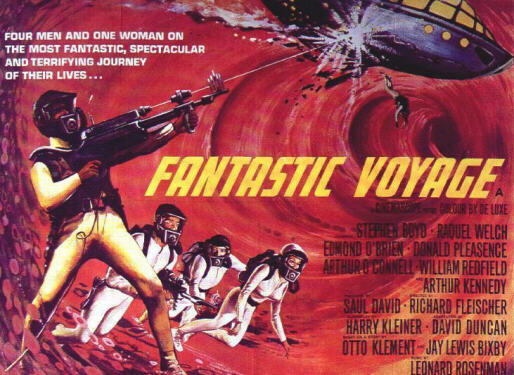 Since a long time I am waiting for a remake of this movie as the story itself is just extraordinary. This movie with a quality of today plus better effects would definitely make it !